What is it that separates the full-time RVer from the casual "weekender" RVer? Aside from the usual obvious things, there are many things that the weekender doesn't have to think about. While the list is as long as a northern summer day, there are a number of important things to consider when thinking about full-timing. In our experience thus far, we've found that a majority the manufacturers are either clueless to the needs of the full-timer or simply just don't care. Cynicism has us leaning to the latter, but of course we know the former may play a role. Hopefully, this post can shed some light and get in the front of some of the powers-that-be in the RV world. First and foremost is build quality. Since we started full-timing, we have looked at hundreds, probably thousands (including friends, etc) of different shapes, sizes, and styles of rigs. We have come to the conclusion that most (especially newer) RVs are built as cheap and light as possible. While this may be great for the weekender to save costs in both fuel and upfront purchase, for the full-timer that's living in their rig and using it constantly, the daily wear and tear is exponentially higher and thus requires better build quality. 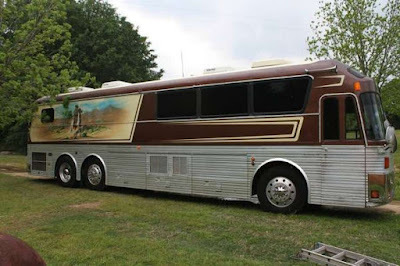 We didn't really learn this until we moved on to our current rig, a 2001 Country Coach Magna 40' class A. With our first trailer, a 23' Weekend Warrior toy hauler, since we weren't using it full time as of that point, it worked perfectly for our needs. For a couple day trip or even a week, it worked for what we needed. Little did we know at the time that this would change dramatically as the weeks passed. As we started to get reservations on our house in Cocoa Beach as a vacation rental, we started to realize that we wouldn't just need something for weekends here and there - we were going to need to have a full-time second residence! While we had no problem staying smaller, it wasn't just the two of us in the trailer. We also had a disabled Great Dane, Guinness as well as another young Great Dane, Nyx. Two full-grown adults and two (nearly) full-sized Great Danes...we needed to go bigger. With the experience we gained with the travel trailer, we went in search of our next rig. 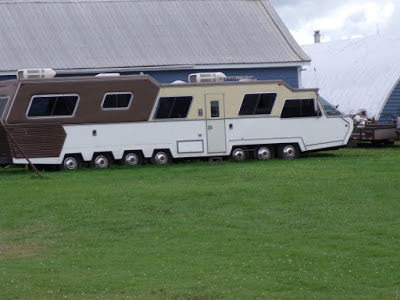 We knew we wanted a 5th wheel (living space vs. cost was very appealing) with slides. Maximizing living space while minimizing costs was paramount. We found what we wanted in our 2006 36' Holiday Rambler 5th wheel. It was the first and only 5er that we walked in that truly felt like "home". While it was perfect in terms of size, etc, it was not built for full-time living - especially four seasons - what we really needed! After spending two seasons in Breckenridge, Colorado the 5er was showing signs of wear. After getting back to Florida this past spring (2017) we uncovered a multitude of small issues that added up to a whole lot of dollars to get everything fixed properly. We weren't willing to spend the money to fix those things that required attention so we decided to take the same cash and put it towards a new rig. going to last as long we we needed as well as being able to hold up to extreme environments. While we knew that older would likely mean a higher probability of having issues, we were banking on the fact that these coaches were extremely well built and were purposefully seeking out one with excellent history of maintenance and care. We found all of that and more. may be the difference between a couple hundred and many thousands of dollars. We know of a situation where a 5th wheel was purchased and shortly thereafter developed leaks in the roof. After spending six weeks at the dealership, the 5er hadn't even been diagnosed or so much as looked at by any of the service personnel. Deciding to take matters into his own hands, the owner hitched up the 5th wheel and drove it to the manufacturer and parked it in such a manner that it blocked one of the service bay doors. He simply wanted the problem to be fixed and refused to move until it was completed. Was he wrong? I don't think so. I'm not sure we would have gone to the same extreme, but should it ever be to a point where it gets to this? Chances are, most "four-season" rigs are not going to have all of these items. Some of the top manufacturers do provide a majority of these items. There is always the option of outfitting a not-quite-a-four-season RV as well. The links in the above list provide alternatives if your rig does not come equipped with all of these items. 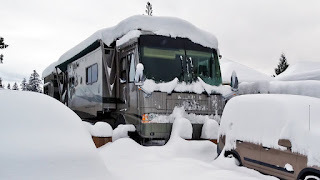 You can also check out our posts about cold weather RV-ing. is the floorplan feasible for everyday living? Are things in easy-to-access areas? Can you cook easily the way things are laid out? is there sufficient storage? Slide out drawers? Underneath storage? Locked and insulated? are the maintenance items easily accessible? Are you working on things yourself? Either way, the easier it is to access maintenance items, it's either going to save you time or money. Time if you do things yourself, money if you pay someone. are the build materials durable? Stay away from particle board, staples, glued wood, etc. While all of these things save weight, they sacrifice durability. We are not fans of any of the newer "Ultra-Lite" models and do not recommend any of them for full-time living. are the features/amenities necessary (many manufacturers add 'fluff' amenities that drive the price up)? 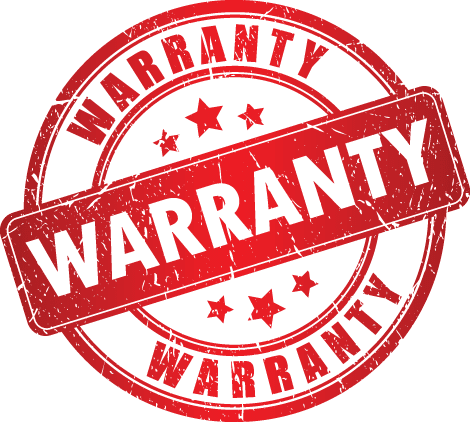 is there a warranty and if so, what is the process for claims and will a warranty claim disrupt your living situation? can you stay with your RV? Do you have to get a hotel? How long? is it comfortable? Sit on the seats for an extended time. Lay on the bed/s for an extended time. Is the recliner comfortable? TV in the right place? So what do we wish the RV manufacturers knew? Let's do a list! Know that full-time RVers are a very small segment of the population of RV owners. That being said, we all communicate with those who are not full-timers. We, as full-timers, exhaustively test your products and will report, good or bad, to everyone we know. 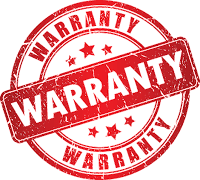 If you advertise that your product is capable of withstanding four seasons of use, know that your potential customers are going to use it to the fullest extent! Offer a "Full-Timer" package that addresses the concerns listed in this post!